A simple dos/windows game made for CSE 142. Press < and > to change direction and spacebar to shoot. 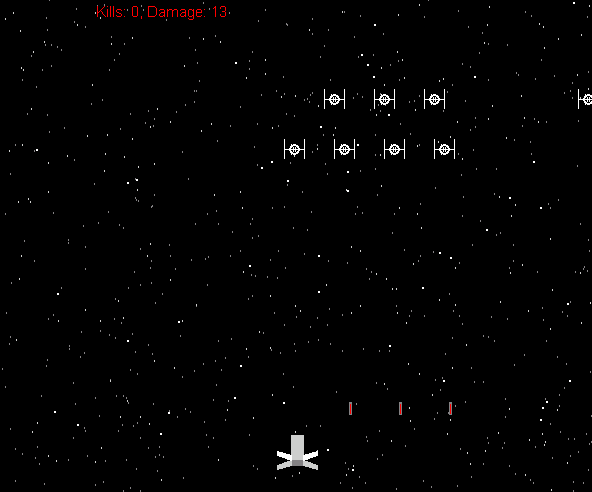 Note the parallax scrolling starfield. Similarities between the game content and any overblown sci-fi franchises are entirely coincidental.